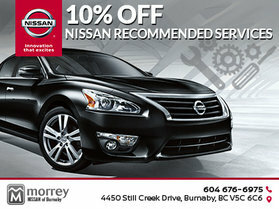 Morrey Nissan of Burnaby wants to help you save money. That’s why we offer our customers a wide range of offers and incentives that are updated regularly. 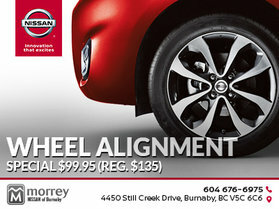 The special offers at Morrey Nissan of Burnaby apply to wide range of services and products including our maintenance and repair department, our genuine Nissan parts and accessories department, as well as our wide range of new and pre-owned Nissan vehicles. 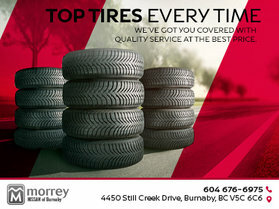 At Morrey Nissan of Burnaby, you will also find regular offers on seasonal packages and products including winter and spring detailing packages, and winter and summer tires. When buying a new or pre-owned Nissan, we also offer great interest rates that make it more affordable than ever to put a new Nissan vehicle, or a high-quality pre-owned vehicle in your driveway. 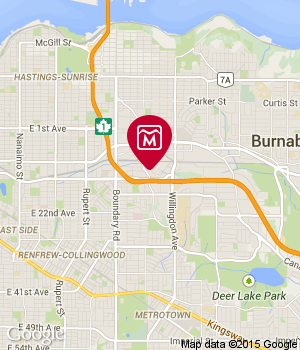 To learn more about Morrey Nissan of Burnaby’s special offers and incentives, check back to this page regularly as we update our promotions on a weekly or monthly basis. You can also ask to subscribe to our newsletter to be informed right away of new special offers at Morrey Nissan of Burnaby. To learn more, contact us today at 604 676-6975, or online using our contact form.